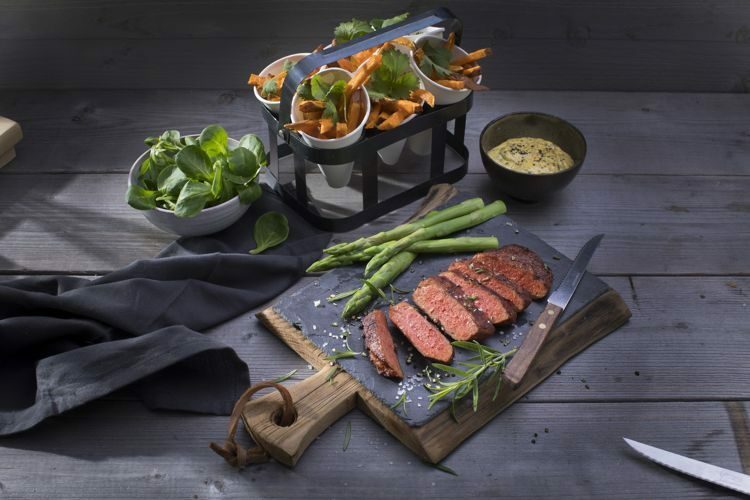 Deep-fried chicken wings aren’t usually considered a fancy gourmet meal, but one restaurant has come up with away to raise the raise the fast-food staple to luxury status. Introducing the world’s first gold-plated chicken wings. 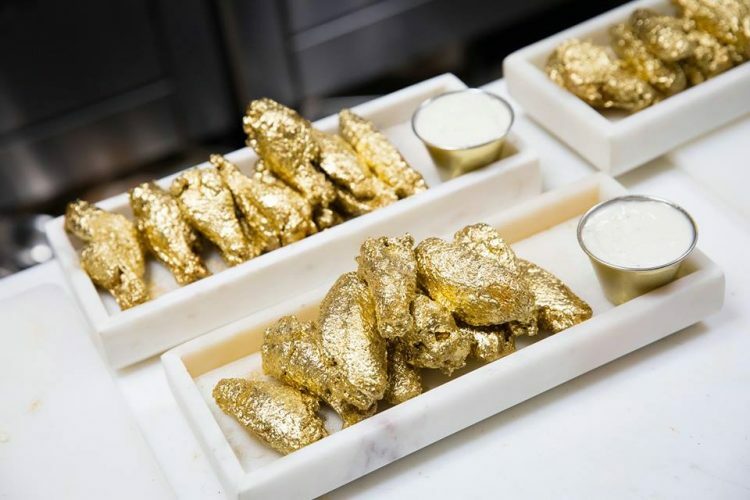 Created by New York City restaurant ‘The Ainsworth’ in collaboration with socialite and reality TV star Jonathan Cheban, the FOODGŌD 24k Gold Buffalo Wings are the definition of flashy fare. After being soaked in a coconut butter, chipotle, and honey batter for 24 hours, they are deep fried and then tossed into a metallic gold sauce that gives them a shiny, gold-plated look. 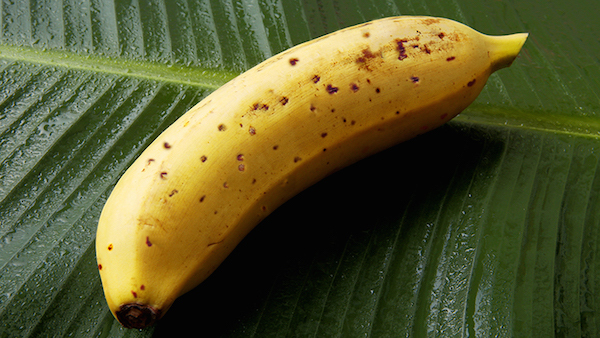 Finally, they are sprinkled with edible gold dust for extra pizazz. At just 31 years of age, Elena Gnut, Pastry Chef from Kaliningrad, Russia, is already recognized as one of the world’s most talented cake artists. And looking at her impressive portfolio, it’s easy to see why. Elena Gnut’s cakes look more like artistic sculptures than treats meant to be eaten. 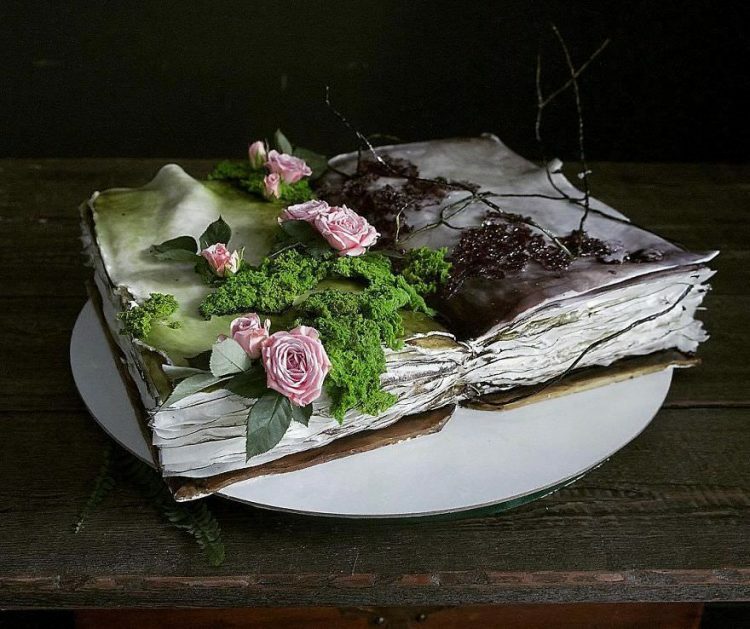 Browsing through her popular Instagram, you often feel like you’ve found the most amazing cake you’ve ever seen, but then you scroll further down and find even more impressive ones. Whether she’s molding the frosting into whimsical shapes or using edible dyes to paint incredible scenes or portraits, the young confectioner is always coming up with new and intriguing ideas that keep her Instagram fans coming back for more. Consuming a fluid secreted by cockroaches may not be everyone’s idea of a balanced meal, but scientists believe that the “cockroach milk” produced by a certain species of cockroaches is one of the most nutritious substances on the planet, and could one day become the ultimate superfood. 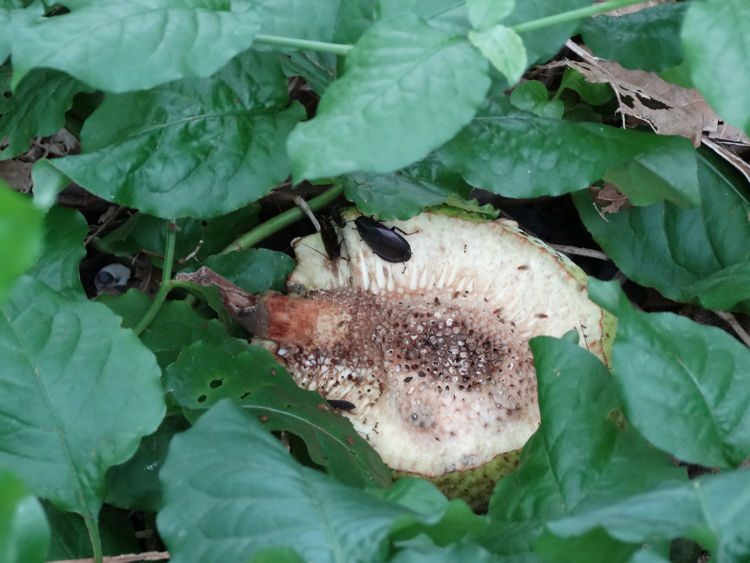 Unlike most other insects, the Pacific beetle cockroach is viviparous, meaning the female give birth live babies that have developed within their body, instead of laying eggs. But a few years ago, while studying these fascinating insects, scientists discovered something even more remarkable – as the embryos grow inside the female cockroach’s body, she feeds them a pale, yellow liquid “milk” from her brood sack. 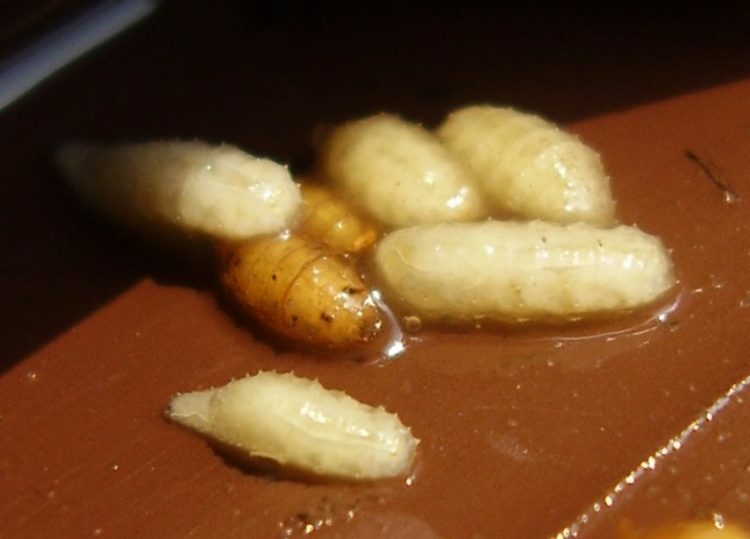 Research has shown that this “cockroach milk” has three times the energy content of buffalo milk, making it one of the most nutritious substances on Earth. A woman who recently gave birth at a clinic in Miso, Japan, recently posted a series of photos of the food she was served there, and they make it look like she had her baby in a Michelin star restaurant. 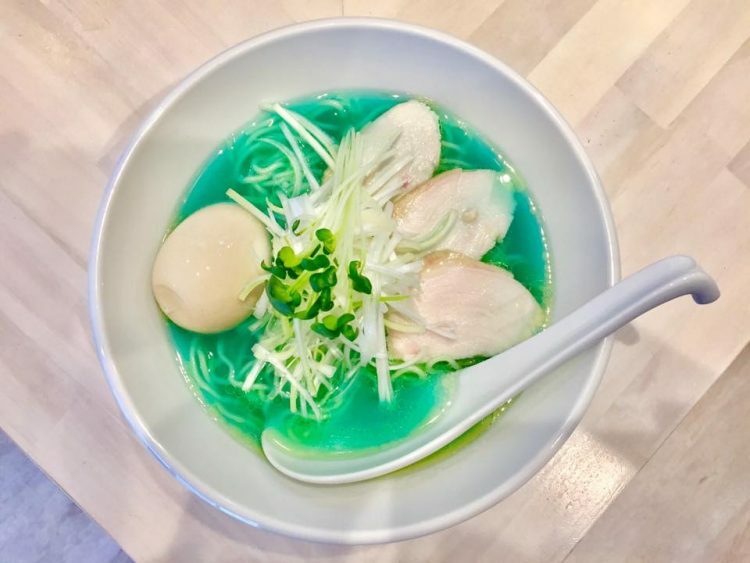 When talking about hospital food, most people use phrases like “barely edible” or “tasteless” or “hard to stomach”, but Japan is proof that hospital food doesn’t have to be disgusting. 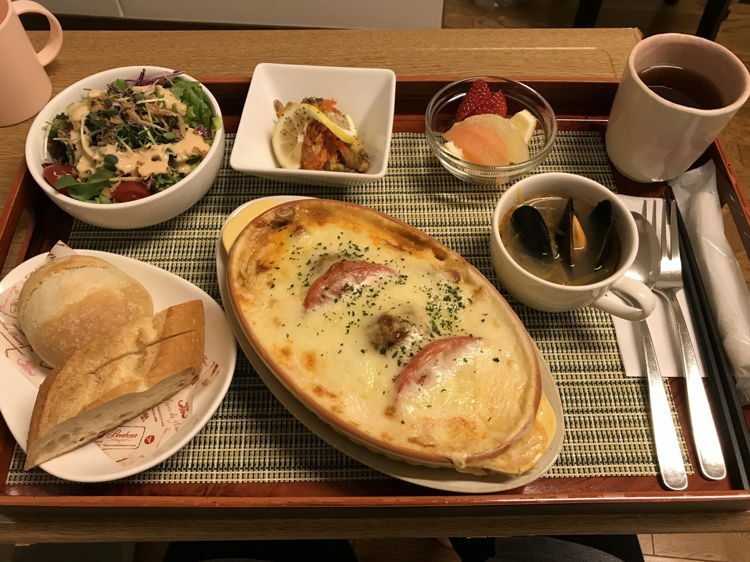 Imgur user jenkinsinjapan, who was recently checked into a small OB-GYN clinic in Miso for childbirth, shared some photos of the various dishes she had to put up with there and they look mouthwatering. 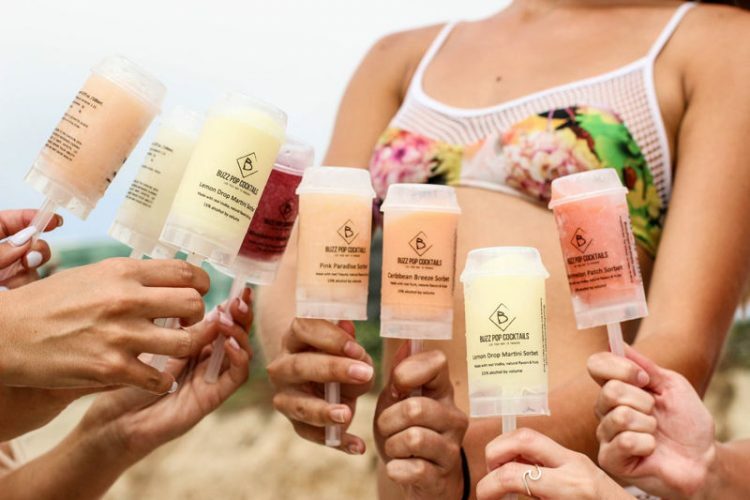 Tired of ketchup dripping all over your favorite clothes? Had enough of soggy, ketchup-filled burger buns? Well, one company seems to have come up with the perfect answer to your problems – ketchup slices. 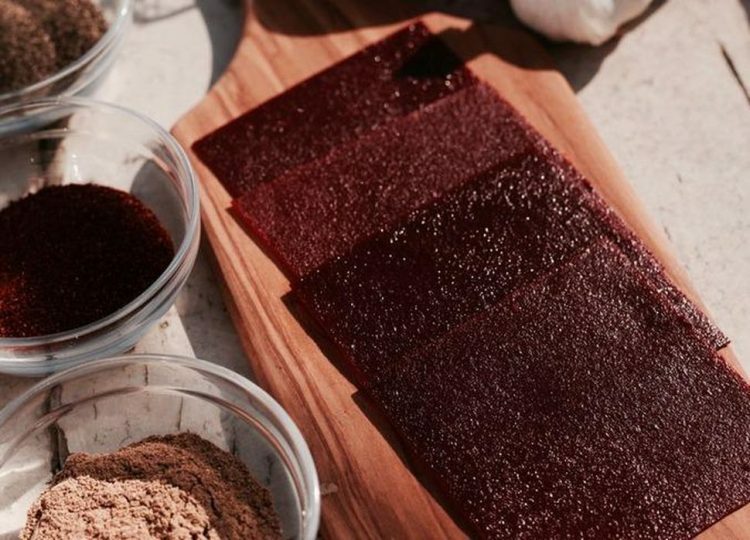 Emily Williams, co-founder of Bo’s Fine Foods, the company behind ketchup slices, came up with the idea for this revolutionary way of enjoying the world’s most popular red sauce while fiddling around with one of her father’s barbecue sauce recipes. 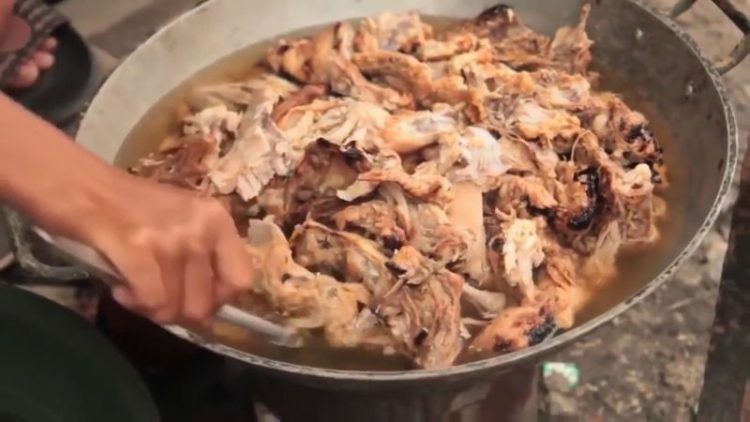 It required the braising of large quantities of vegetables that were afterward discarded, but seeing as food waste is currently one of the world’s main economic and environmental problems, she decided to take a different approach. Little did she know it would result in a completely new way to enjoy ketchup. When you think of Mace pepper spray, ‘awesome beer flavor’ is probably not the first thing that comes into your head, but that’s exactly why the adventurous people at Dog Head Brewery decided to create the world’s first mace-flavored beer. 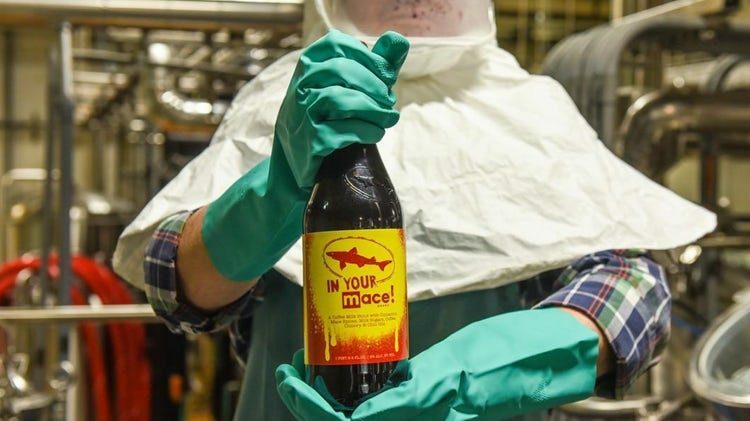 Dogfish Head Brewery is known for sometimes using weird ingredients – from pork scraps to dust from lunar meteorites – to create unique brews, so this collaboration with Mace Security International to create a mouth-numbing beer is not that unusual. 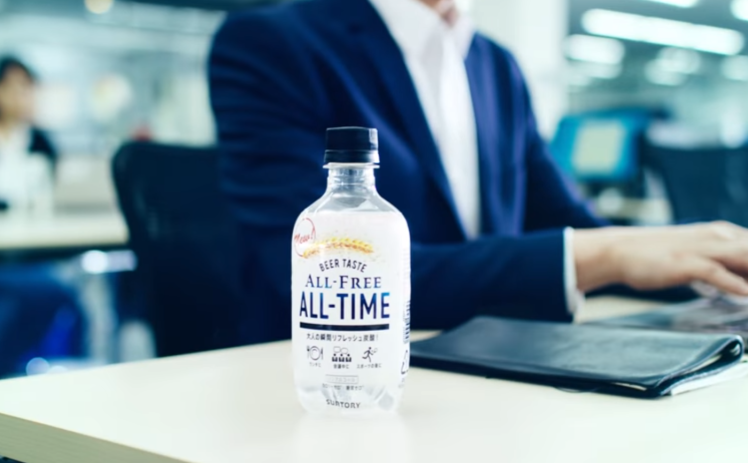 Called “In Your Mace!”, the limited edition drink is partially brewed with oleoresin capsicum, the active ingredient in Mace’s pepper spray. 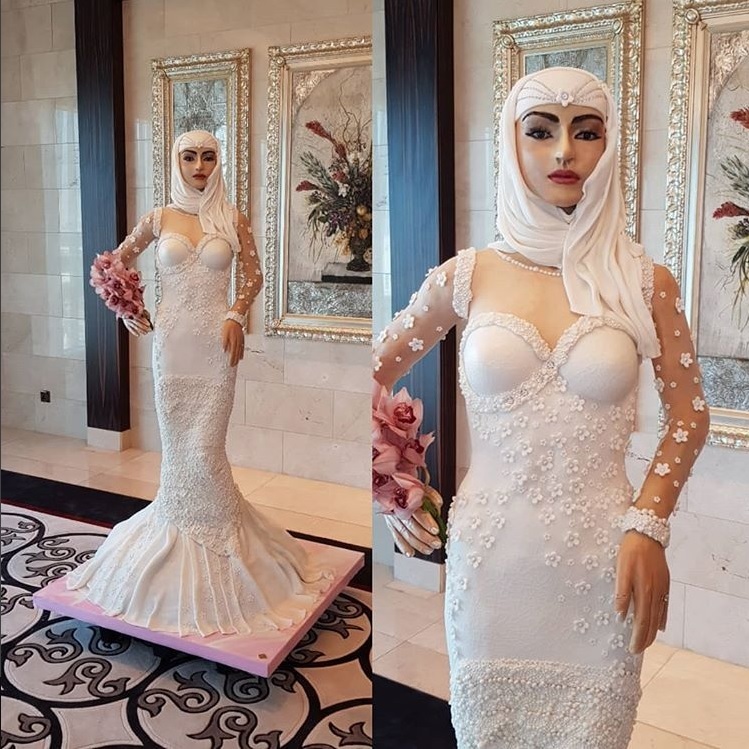 Meet Lulwa, also known as the ‘Million Dollar Bride’, a 120 kilogram-wedding cake shaped like a life-size Arabian bride. “She” was created by Debbie Wingham, ‘the world’s most expensive designer’, and showcased at the 2018 Dubai Bride Show, in the UAE. Wingham is the creator of some of the most expensive objects of desire in history, including a $16 million shoe, a $4.8 million black diamond dress, and the world’s most expensive wedding cake which was valued at a staggering $67 million. With an estimated value of “only” $1 million, the designer’s latest work, the Million Dollar Bride cake was one of her most affordable projects yet. But what the cake lacked in financial value, it certainly made up in style and realism. Describing an ice-cream as hot might seem strange, but when talking about the Respiro del Diavolo (Devil’s Breath), it’s actually an understatement. 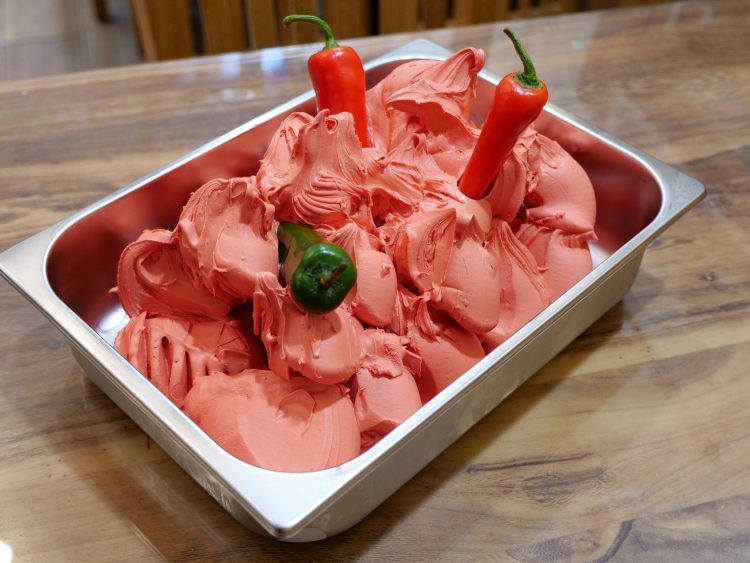 Made using an assortment of hot chillies, the bizarre treat scores over 1.5 million units on the Scoville scale of hotness, making it the world’s most dangerous ice-cream. Respiro del Diavolo was brought to Glascow, Scotland, by Martin Bandoni, owner of the Aldwych Cafe and Ice Cream Parlour, but he claims the recipe has been a closely-guarded secret among Italian gelato makers for centuries. It has been used as a test of bravery at yearly gatherings among masters of the trade, but Bandoni thought it could become a commercial hit as well, so he put it on the menu of his ice-cream parlour in Glasgow. So far, the response has been ‘crazy’, with people from all over the UK stopping by to try the fiery treat.